If you have an aging HVAC system, it may be time to consider a unit replacement. Older systems use more energy than necessary to keep your house comfortable. When your home's HVAC unit is not providing the convenience and comfort you're after, just reach out to us. 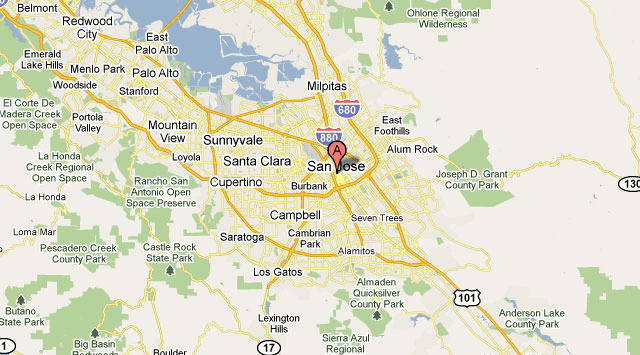 Modernize is your reliable source for comparing HVAC in San Jose, CA. We have helped homeowners all over the U.S. find the best local costs for HVAC and air conditioning services in their area. It is always smart to compare at least four different price quotes from contractors to make sure you are getting the best local prices on installation services. Let us help you compare estimates from local contractors to get the best HVAC prices today! Get free quotes from the best hvac repair contractors in San Jose, CA, ready to complete your project. California weather can be frightful during the winter and suffocating in the summer. To help create a comfort zone to keep you toasty or icy cool in San Jose, buying a quality HVAC system that runs efficiently and economically is a good investment. Before heading to the local home improvement center to make a purchase, take this list of dos and don’ts with you so you’ll be prepared to ask the right questions and not get talked into buying a system that won’t work efficiently for your property. Know the square footage of your property. When buying a system, this is a key factor. The representative of the business where you’re purchasing the system or the contractor you hire will determine the size of the system based on this information. Free online estimation tools are available to check the information yourself. Have funding in place. Depending on the type of system you select, the initial cost can run into the thousands of dollars. If you aren’t in a position to pay cash, other financing options are available like a home equity line of credit, private lenders, or a credit card through the company where you’re buying the equipment. Several other options are possible through refunds, rebates, special programs and tax breaks. You’ll find detailed information available at U. S Department of Energy, Property Assessed Clean Energy (PACE), Office of Energy Efficiency and Renewable Energy, U. S. Small Business Administration, and the North Carolina Clean Energy Technology Center funded by the U.S. Department of Energy. Get the necessary permits. California requires permits to be pulled prior to installation. When you apply for the permit, you’ll most likely be informed about the duct pressure test also required. You can find more information about permits at the City of San Jose Permit Center. Only hire a contractor certified by the state of California. Check license and certification credentials, for free, at the Contractor’s State License Board website. Do ask about the warranty of the system, how long it is in effect, and if an extended warranty is available. Just like there are several things to do, there are several things not to do when starting a HVAC installation project. A couple of these go hand-in-hand with the “Do” list. Do not let yourself be talked into buying a HVAC system that does not meet the needs or your property or a system that exceeds your needs. Neither are efficient and both will cost additional money over time. Do not forget to apply for a permit. Working around the system can result in fines or a voided warranty. For questions about the permit application process, visit San Jose City Hall at 200 E. Santa Clara Street, Tower, 1st Floor, or call (408) 535-3500. Online permit applications are also available. Do not ignore the state’s requirement for hiring a state-certified HVAC contractor. Just like failing to pull a permit, this will cost you additional money in fines and rework. Do not allow any contractor to install the system without first giving you a written, signed, and dated warranty covering the installation process. When properly installed by a legitimate state licensed contractor, you’ll not only improve the quality of heating and cooling in your property, you’ll see savings over time and increase your property value.